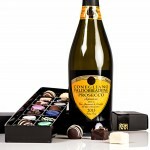 Here at Aphrodite Chocolates, we have the perfect chocolate gifts for any occasion! Are you looking for a birthday, anniversary, or wedding gift? Maybe just a simple present to say thank you? 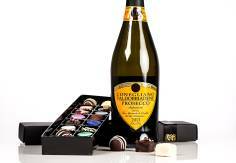 Our boxes, slabs and chocolate gifts are the perfect way to celebrate. 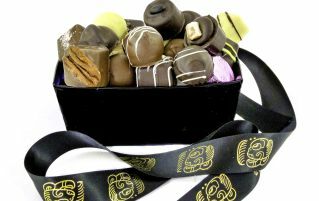 Buy chocolates online now in our secure online shop! 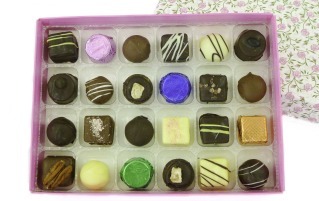 Gift Box in a floral design, filled with a selection of our chocolates. 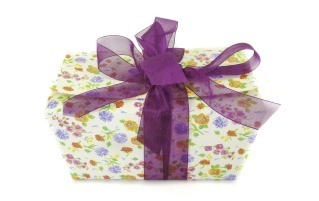 Gift Ballotin in a floral design, filled with a selection of our chocolates. A bespoke Aphrodite Box, filled with our Mint Ganache after dinner chocolates. 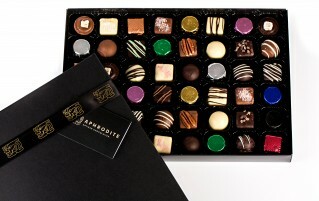 A selection of our innovative, alcoholic chocolates, presented in our Aphrodite Gift Box. 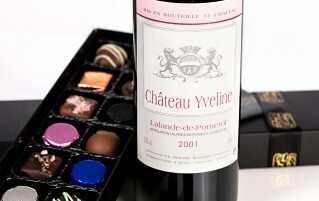 An Aphrodite Gift Box, filled with a bottle of Chateau Yveline 2001 fine claret and 32 of our chocolates. An Aphrodite Gift box, filled with a bottle of Chateau Les Chappelles 2001 fine claret and 32 of our chocolates. 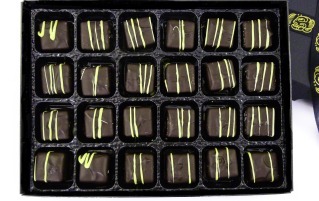 Also available – buy chocolates online in bulk – we can accommodate most requests, just ask! Are you getting married and need wedding favours for your guests? If so, then look no further! Here at Aphrodite Chocolates, we can work with you to create the perfect gifts. 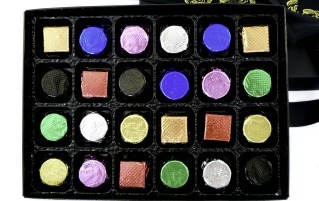 We can provide you with individual boxes in your wedding colours, and we can fill them with as little or as many chocolates as you would like! Just fill out our contact form with your details and we’ll get right back to you.